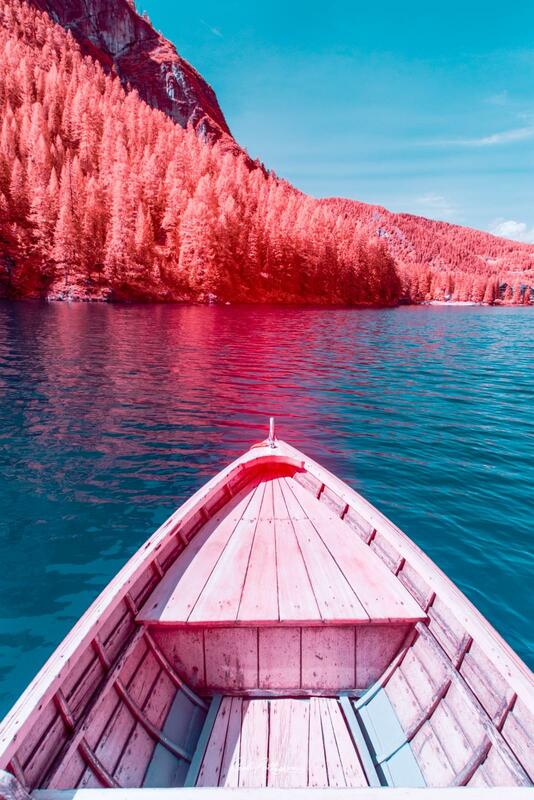 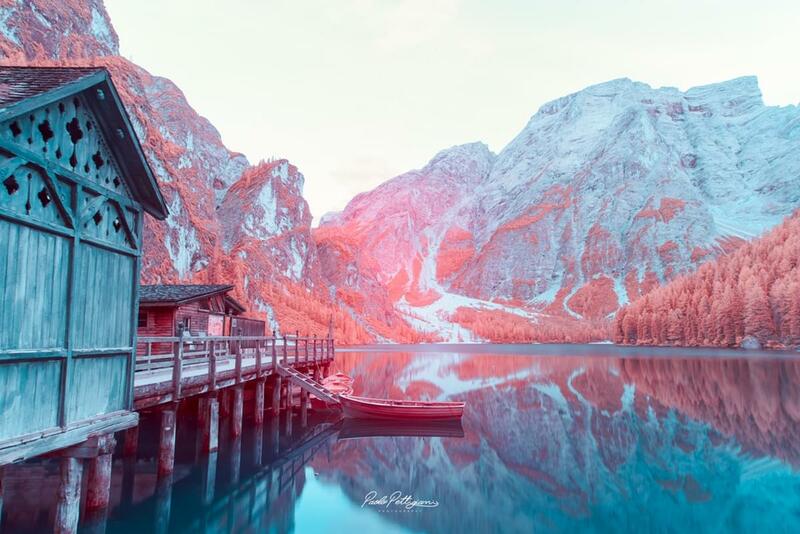 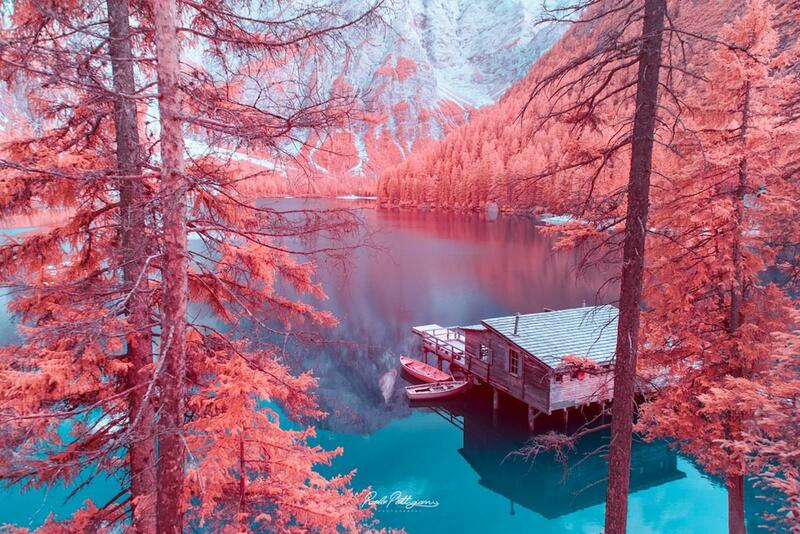 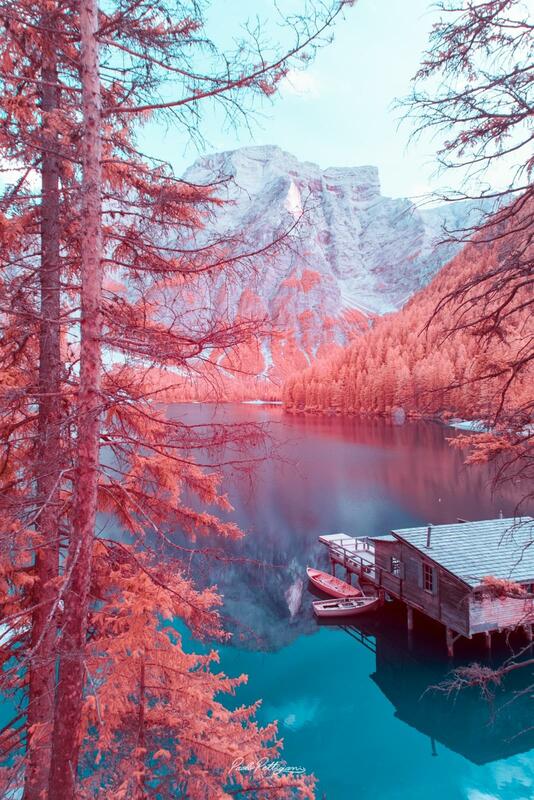 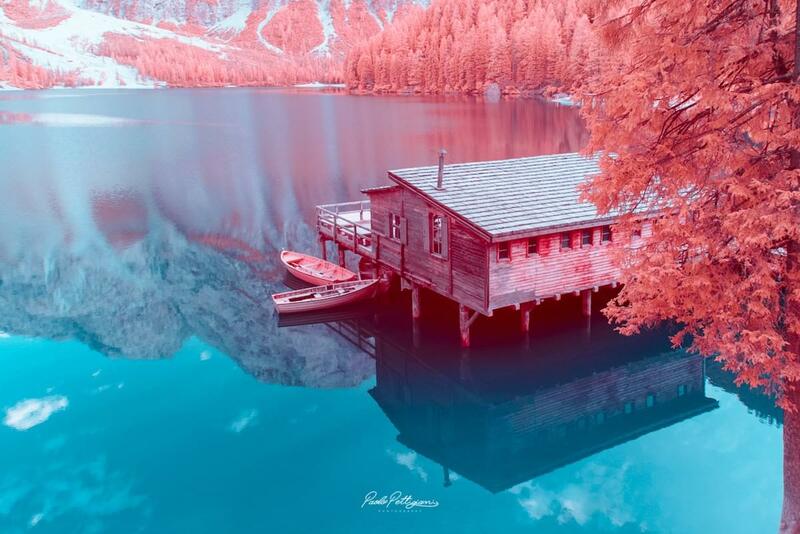 Italian photographer Paolo Pettigiani, known for his infrared landscapes, is back with a new series of pink-hued photos. 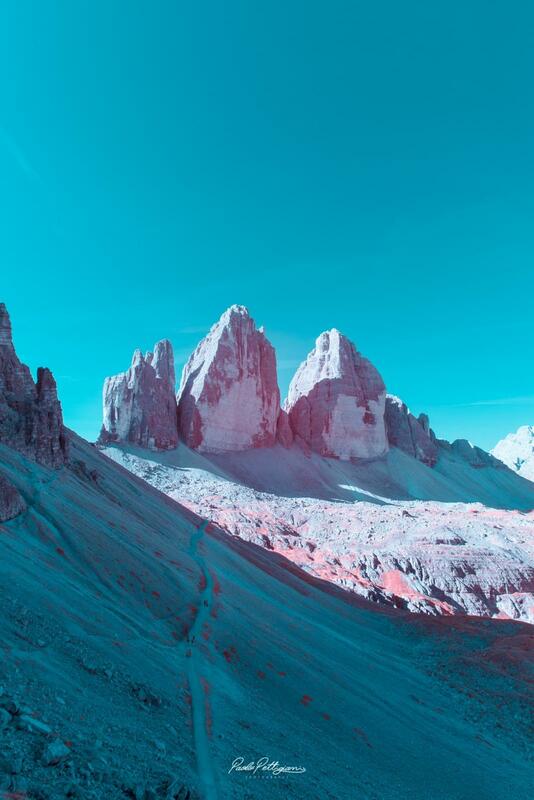 He tackles a space closer to home - Italy's Dolomite mountains. 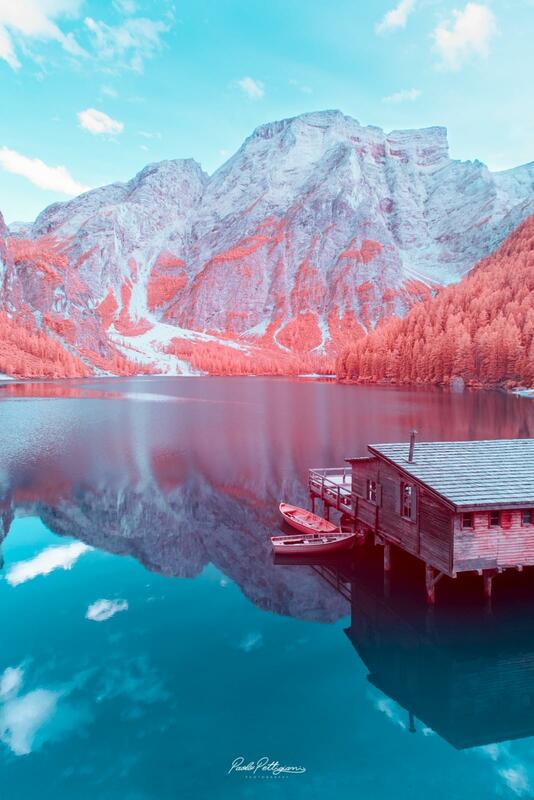 This series proves that all the planning is worth the result. 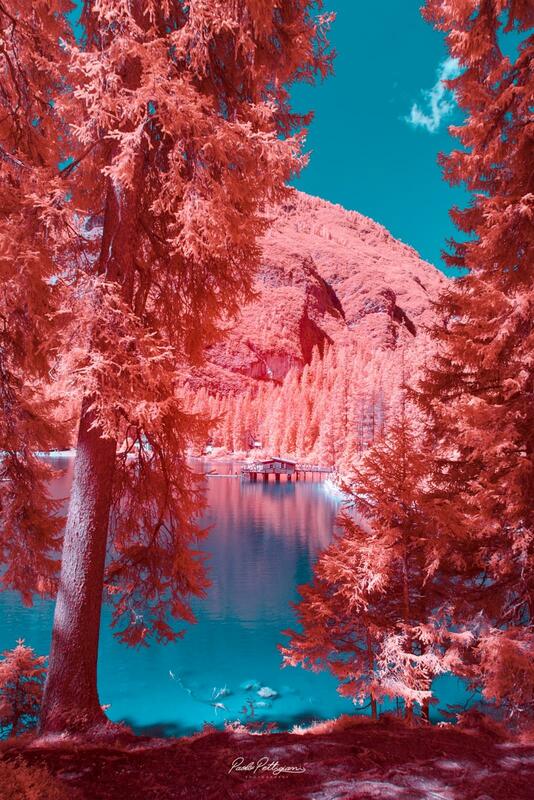 Pines spring up like cotton candy, dotting the shoreline and creating streaking trails up the snowy mountains. 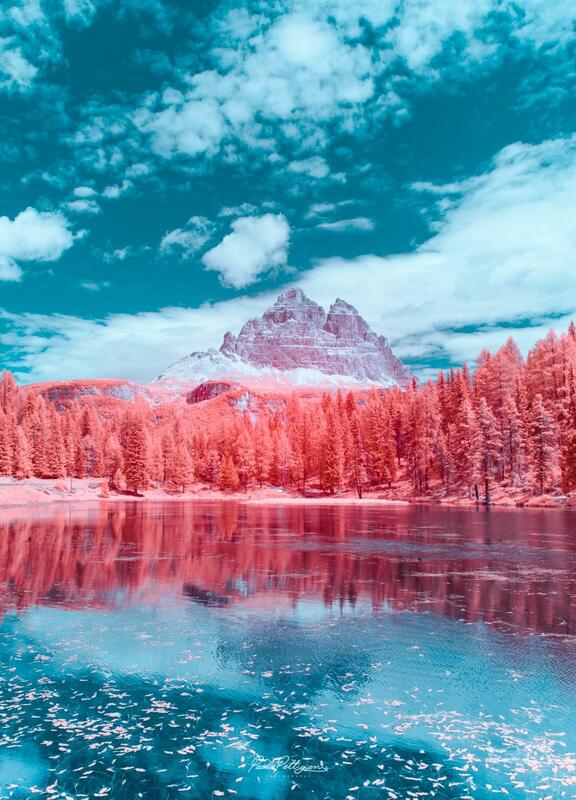 It's clear that for Pettigiani, it's a pink and blue world, and we're all just living in it. 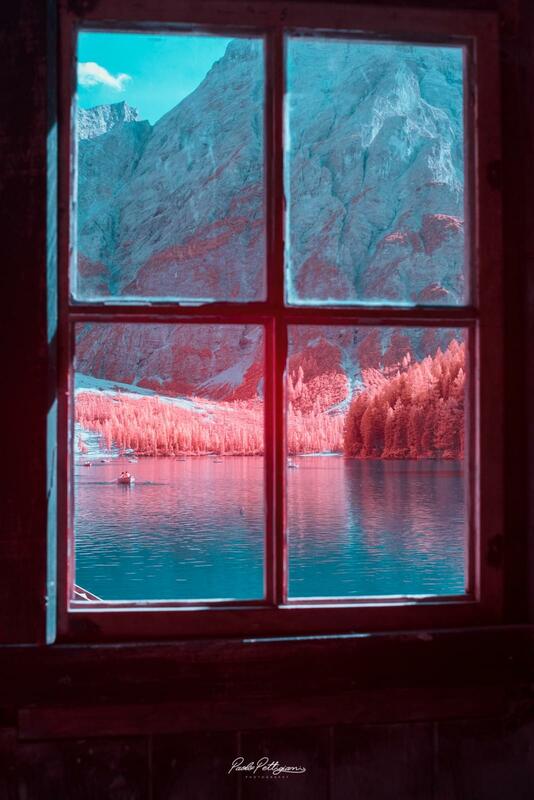 If you like what you see, Pettigiani has prints available via Lumas.